We’re excited to welcome collaborators from partners organisations involved in developing the various aspects of our collaborative platform, including activity templates, facilitation training and assessment. 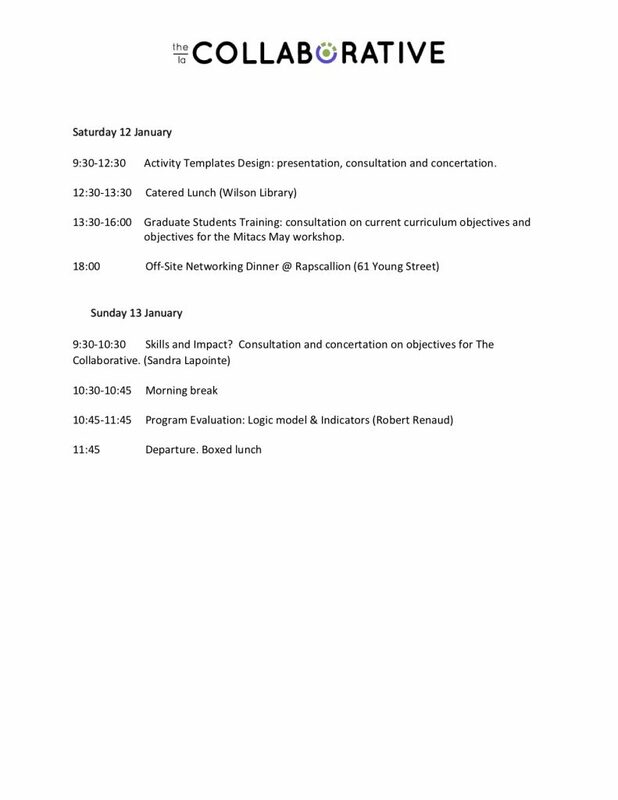 Pre-Workshop meetings will start on 10th January. Main program to begin in the afternoon of 11th January. 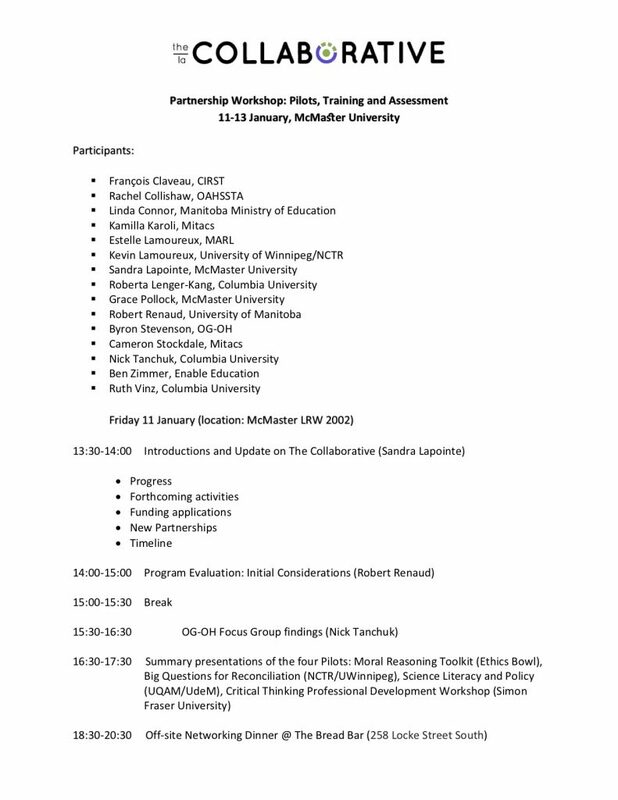 Participants include: François Claveau (CIRST), Rachel Collishaw (OAHSSTA), Linda Connor (Manitoba Ministry of Education), Kamilla Karoli (Mitacs), Estelle Lamoureux (MARL, Unesco Schools), Kevin Lamoureux (University of Winnipeg/NCTR), Sandra Lapointe (McMaster University), Roberta Lenger-Kang (Columbia University), Grace Pollock (McMaster University), Robert Renaud (University of Manitoba), Byron Stevenson (TDSB/OG-OH), Cameron Stockdale (Mitacs), Nick Tanchuk (Columbia University), Ben Zimmer (Enable Education) and Ruth Vinz (Columbia University).